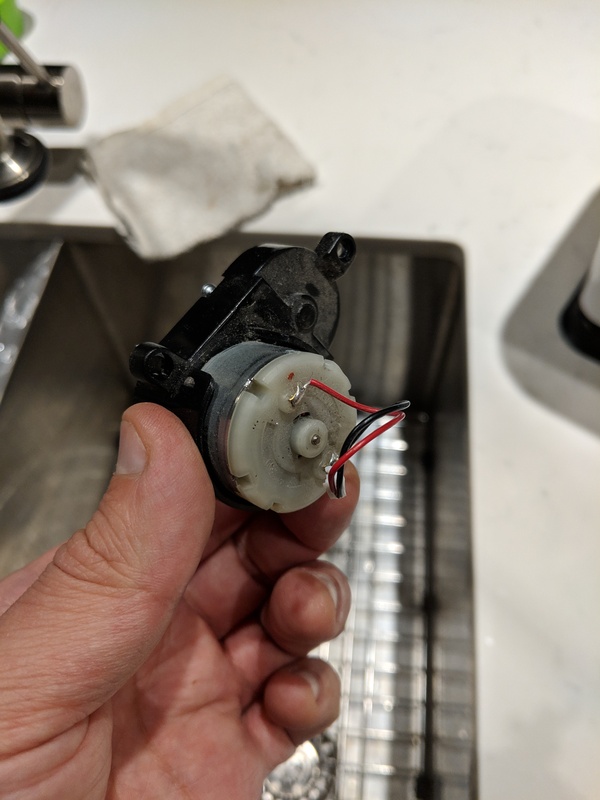 My robovac 11 is not even two years old and the teeth on the brush motor middle gear have broken off (see picture), so the brush does not spin and is very noisy. Eufy support told me there is no repair in Canada, but offered me $30 towards buying a new vacuum (yeah right). Rather than throw out a $300 vacuum that needs a 10 cent part, I was hoping to get some help here. Does anyone know where I can get this part? It is just the gear I need. You can look for a used one on eBay then make a silicone mold copy of the gears for future fixes. 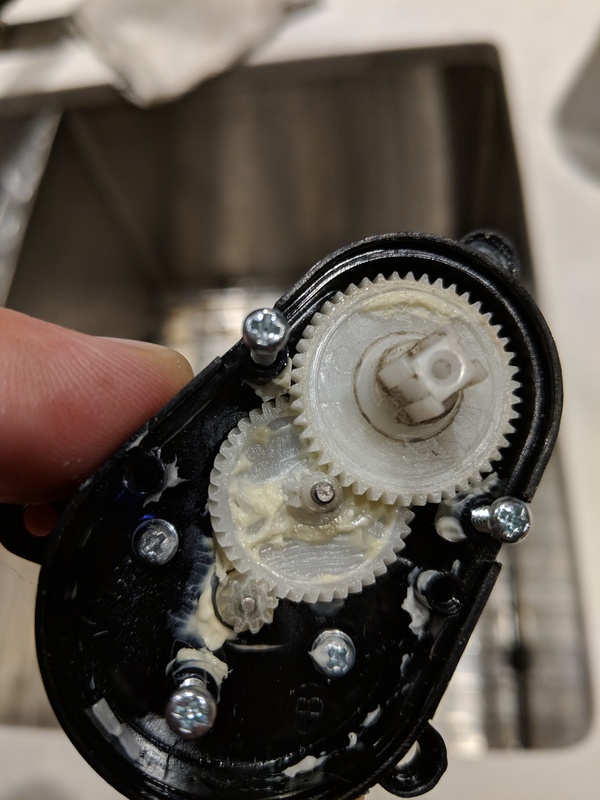 You can cast your new gears with urethane resin. The only problem with that is if you scan a heavily used gear it will be slightly smaller because the original is worn. Thank you both for your suggestions. I like the creative solutions and the "repair not replace" mentality. I actually have access to a 3D printer but I don't know if there is a scanner. I will have to look into that. I suppose I could scan the gear from the opposite side but as Jesse said it is probably worn as well. My immediate question is if this 3D printer will have the required resolution, as the gear teeth are quite fine. Definitely food for thought. Thank you again. Please let us know if you had success. While I was taking a big vacation walk I thought about your problem. I dont think that EUFY is using some "special parts". Those are normally standard parts. This should be a very common gearwheel. I think you have tried to get such one in the world wide net. I am sure you will find such one if doing a intensive research. The idea to print such one is difficult. Those gearwheels are made of nylon. Is it possible to produce such one in nylon with a 3D printer? Funny indeed, we old tinkers give NEVER up. I am fan of our german WWII submarines. We would have called this " mit Bordmitteln repariert" "Repaired with board supplements"
Have you seen the film "Das Boot"? Thank you all for the advice. fhassm, I agree I should be able to find it in a non-specific application, but no luck yet. Thank you for the link! But I found this interesting link - someone has already designed a replacement gear in Thingiverse. The gear is for the iRobot roomba, but the Eufy is essentially a copy of that and i think the gear is the same. Since we have a 3D printer at my work, I figure no harm in trying! Plus it will be fun to try and fix it with a 3D printer object. And yes, Das Boot is one of the all-time greats, along with FMJ. You have good taste in films! If You try to make a copy via 3D it might be interesting what type of material you use. It should have the same physical characteristics as the original gearwheel. Minimum order for this company is over $1800, they are set up to serve industrial applications. But thank you. I guess I didn't do enough research, sorry about that. I'm sure there are other companies that do the same thing. I was taking a short look here in DE for such gearwheels. I am sure I would find a replacement. But as I don't have the measurements I couldn't find the fitting one. 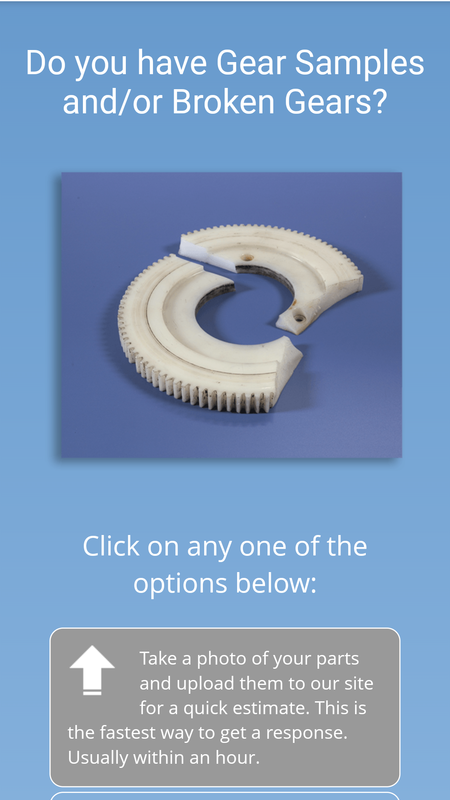 A friend of mine, an old model builder says it would be difficult to print a gearwheel by 3D in nylon. Other materials should be to hard and not flexible enough. Here is a link for DE. Those sites should exist in CA/US as well. So this should be a hint for DE RoboVac customers as well, who might have such a gearwheel problem. I've got the same issue with the same stripped gear on the side brush motor. The issue I see with the thingiverse version, is that it is not an angled gear that meshes to the main motor gear. It looks like it has about a 20 deg taper for the main gear. I measured the outside diameter to be 21.1 mm, and reduction (inner) gear to be ~5.7mm OD. I counted 41 teeth on the outer gear and 10 teeth on the inner gear. The inner gear does not appear to have a tapered angle. Could you take a photo of that gearwheel please. The "old tinkers" would like to see! I am in hurry : Opera! Hi, I have exactly the same problem, different vaccum but I think a lot of them use the same chassis. Did you get anywhere with it?